Wondering how to become debt free on a low income? I think you’ll agree with me that being broke is no fun. Even worse is being broke AND being in debt. We feel like we’ll never get to a place of financial freedom. When we’re in debt and income is low, we often feel like the only way forward is to keep charging on the cards and hope it all works out. But there’s a better way! Learning how to become debt free on a low income IS possible. You can get to a place where you don’t owe anyone anything (except maybe a mortgage payment). When you get there (and you will) you can breathe easier without all those bills and without any debt collectors calling or the endless cycle of running out of money before the month ends. In this post, we’re going to examine how to become debt free, what to do if you’re broke AND what the benefits are of being debt free. Specifically, we’re going to look at exactly how to become debt free on a low income. If you’re in the situation where you think refinancing student loans might make sense, the folks over at Next Day Personal Loan make it easy to get the best offers in under 2 minutes. You could possibly save thousands a year and you have nothing to lose in checking! What exactly is Low Income? The median income in the US, according to the US Census Bureau is $55,322. The poverty threshold, however, for a family of 4 in 2017 is $25,094, a little under half of the average income. So learning how to become debt free on a low income can’t begin until we know where we’re at to start with. Thus if you or your family are anywhere close to those poverty thresholds, you definitely would fall into the low income category. Of course, where you live also makes a big difference as the cost of living in Knoxville is a whole lot cheaper than NYC or LA. Check out the HUD website‘s low income database which allows you to select your city or state to see what the low income definition is for your area. How can I pay off debt with no money? It’s a painful place to be when you owe a bunch and are broke. My family once owed over $60,000 (and that didn’t include the mortgage) and my salary was WELL under $80,000/year. Trying to raise a family on one income is tough, but we had also made a lot of dumb money decisions too. Thankfully somewhere along the way, we learned about Dave Ramsey’s Baby Steps. That got us thinking about how to become debt free on a low income. Today we live debt free (except mortgage). While we’re not wealthy, we live our dream life every day without the stress and money problems that used to plague us. There are some additional steps I take When I Can’t Pay My Bills, so if you need to dive in deeper, make sure and check out one of my most highly shared posts! Want a FREE copy of my Excel Budget Spreadsheet? 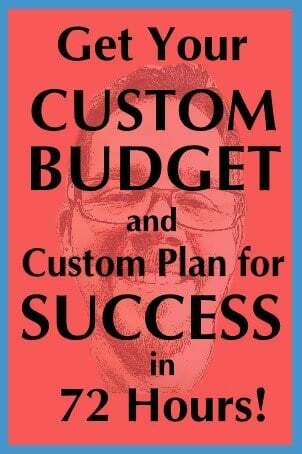 Get your copy today and start budgeting tomorrow! So above I mentioned eliminating unnecessary expenses. But what are necessary and unnecessary expenses? Here are the top things many Americans waste money every year. So if you’re thinking about how to become debt free on a low income, consider eliminating any of these that are part of your spending habits. Many of the above (and a lot more) make up part of our everyday habits. We often don’t even think about them. Individually many of these aren’t a lot of dollars. But when you do many of these regularly, it can add up! But if we’re trying to learn how to become debt free on a low income, they have to go. Once you’re debt free and have things under control, splurge a little where it feels right. Can’t live without cable TV? Get the top-rated digital antenna from Amazon for under 30 bucks, or get a Roku stick and stream Amazon Prime, Netflix, Hulu, and other similar channels. Don’t have Amazon Prime? It’s got tons of channels, movies, and TV shows. Try Amazon Prime free for 30 days! You’ll also get their famous free 2-day shipping on all qualified purchases. Ultimately when you get serious about learning how to become debt free on a low income you have to learn to evaluate every spending decision. The simplest way to do that is it a want or a need? A want is that new pair of shoes, that nice bottle of wine or the shiny rims on your truck. A need, however, is the essentials. Food, electricity, clothing, gas in the cars, etc. And it’s totally OK with me if you put coffee in the need list instead of the want list. But that daily Starbucks trip is definitely a want. The easy way to cut your bills! Being debt free is such a stress-reliever! Sure you might owe a mortgage, but you’d still be making that payment even if you were renting, but with a mortgage at least the interest is low and you’re building equity for yourself. Becoming debt free means getting organized, keeping your emotions (especially around spending) in check and breaking the old habits that created the mess to begin with. First, you need to be doing a written household budget as I said above. Next, you should have clear goals for yourself. If you just head off across the country with no destination in mind or roadmap, you’ll almost assuredly get nowhere. So the same is true for accomplishing a goal. Have a clear roadmap and the break it down into simple baby steps. The baby steps help us to make the overall goal of how to become debt free on a low income less intimidating. But some baby steps also get us small wins along the way. Paying off debt and trying to not be broke can be discouraging; especially with family or friends spending money like there’s no tomorrow while we bring a sack lunch to work. What are the baby steps to becoming debt free? Once you’ve followed my above plan to become debt free and cut the unnecessary expenses I listed, it’s time to get started! Here are the EXACT steps my family took when we began our journey out of debt to the life we have now. Help! My budget still won’t balance after all my spending cuts! When my wife and I began our debt free journey in 2008 we quickly realized there was no way we could survive (financially) with the mortgage payment we had. I was making about $70k/year and our mortgage payment, including taxes & insurance, was almost $2,700/month! So we realized that wasn’t sustainable and decided to sell our house and rent a cheap duplex for a while until we could get the debt under control. Unfortunately, we decided to sell in August 2008. Guess what else happened that month? Yup. The big financial crisis. In the end, it took over a year and a $100k price drop to sell the thing. That delayed our learning how to become debt free on a low income, but it sure didn’t stop us! So don’t be afraid to evaluate things like a house payment or a car payment and if they simply aren’t sustainable, sell ’em! Make no mistake. If I had to deliver pizzas at night to avoid foreclosure or bankruptcy, I wouldn’t even hesitate. But the good news is there are a LOT of things you can do, many from your computer, to earn a few hundred (or more) dollars a month. Heck, this blog of mine you’re reading generates a lot more than that. Want to start a blog of your own? Start with my detailed post about How to Build a Website. Earn money with InboxDollars for reading emails & taking surveys. Recommended by US News & World Report and Yahoo, so you know it’s not a scam. Be a dog walker in your neighborhood – Yes, you can get paid to walk people’s dogs. Rover is a nationwide network connecting dog walkers and dog owners. Simply sign up, tell Rover what days and times you are available and start earning cash today! Get paid when department stores overcharge you – if you sign up with Paribus (at no cost! ), they will review purchases from major retailers like Wal-Mart, Target, Kohl’s, Amazon and many others and if they see a price drop, they pay you the difference. But those are just the tip of the iceberg! Check out all the ways to Earn Extra Money on the side! Learning how to become debt free on a low income gets easier when you have more money to start with. How can I get rid of credit card debt legally? Debt that is NOT in collections can’t really be gotten rid of legally unless you file for bankruptcy. And to be clear, bankruptcy should be avoided at all costs and reserved for avoiding foreclosure. In almost any other situation you’ll be far better off working your way out of the mess. After all, like we tell our kids, if we made the mess, we should clean it up. 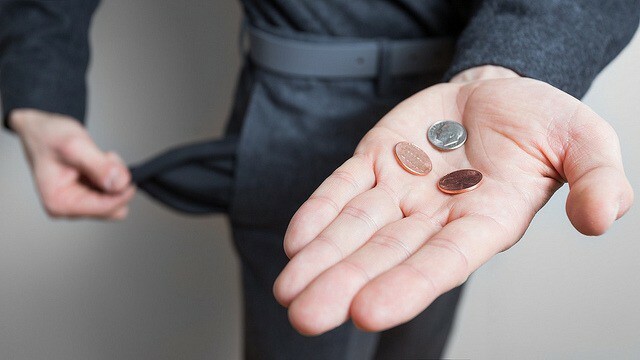 That being said, if you are REALLY behind and lost a job or otherwise have a REALLY low income, some credit card companies may be willing to accept partial payment as payment in full rather than risk getting nothing. So it doesn’t hurt to ask your card companies about financial assistance. Major medical providers like hospitals will almost definitely have financial assistance programs you can apply for which can slash your bills. Does debt consolidation or balance transfers really work? Debt consolidation or balance transfers are something that gets talked about frequently. But they really only work if people get serious about changing their spending & budgeting habits. Otherwise, the moment the old credit cards go down to a zero balance, the charging starts up again and you end up in worse shape. So for that reason, along with the emotional wins that come with the debt snowball method, I recommend avoiding debt consolidation programs or balance transfers except to avoid bankruptcy. Trust me. I’ve done both and ended up more in debt than when I started. Ultimately the amount of debt stays the same so the only people that usually come out ahead doing those are the banks and companies running the programs. I am of the opinion that, as a matter of integrity, you should always pay what you owe. That being said, sometimes debt gets sold to collectors. They may tack on extra interest and fees and skyrocket what you originally owed. In those cases, I think it’s perfectly acceptable to pay A LOT LESS than what you originally owed. After all, they probably bought that debt from your original debt holder for 25 cents (or less) on the dollar. Meaning if you originally owed $1,000, they probably paid $250 (or less) for it. Then they add exorbitant interest, penalties, and fees and now claim you owe $2,500. If they can get anywhere even close to that, they make a killing. Because of the unscrupulous nature of how many collection agencies work, I think it’s just fine to offer them something far lower than what they’re asking for. Avoid the worst tricks of debt collectors! Debt collectors are bottom-feeders (sorry if you work for one; time to consider a new career). I dive in significantly deeper into debt collection best practices, credit problems and the credit dispute process, so if you need help there, make sure to check out my Credit Report Repair Steps. Budgeting is simply a way of tracking every dollar that comes in and every dollar that goes out. After all, without a written budget, everything is either a guess or an assumption. And you know from grade school what happens when we assume. Ideally, at the bottom of the budget, you’d get to zero (or close to it). After all, the one thing I know about myself is if I have extra money laying around that isn’t earmarked for something else, I’m likely to spend it! In my household, we have 1 primary income (mine) and then both mine and my wife’s side hustle. We have 3 kids, two of which are approaching the teen years. You can bet we have some bills! Did I cover everything on how to become debt free on a low income? In this post, we looked at the terrible situation we all have found ourselves in where the bills outnumber the incoming dollars. We looked at debt and how to get rid of it. But we also looked at legal methods for eradicating debt and how to budget your way out of the mess. Specifically, though, we looked at how to become debt free on a low income. 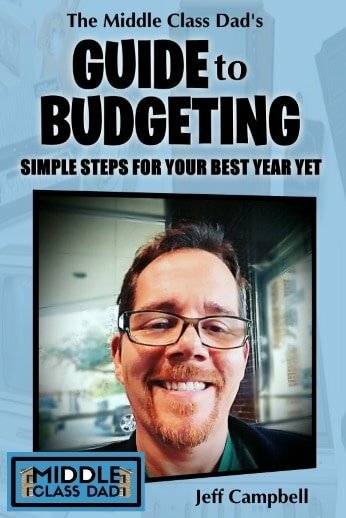 If you need help budgeting, make sure and grab a copy of my FREE Excel Budget Spreadsheet which is fully customizable. After all, the budget is your 1st step in learning how to become debt free on a low income! The app Trim automatically looks at your monthly bills & spending and then cross-checks that with savings programs almost all vendors have. It’s a great way to earn a few extra bucks to put towards your debt! Is your get out of debt plan working?